Targray is a leading international provider of wholesale biodiesel solutions with sales locations throughout the United States and Europe. Working in partnership with regional biodiesel producers and industry associations include NACS, SIGMA and the National Biodiesel Board, we’re focused on creating value-added low-carbon fuel programs for diesel distributors, retailers, commodity traders and wholesale buyers in several dozen U.S. and EU markets. An unparalleled global sourcing network for various biodiesel products and services. Direct access to biodiesel producers in North America and Europe. Wholesale biodiesel procurement programs with guaranteed long-term pricing options for buyers. In-depth knowledge of CP, CFPP and PP by geographical locations and climatic conditions. Biodiesel trading – Real-time pricing and availability information for customers. A supply chain able to respond to your most urgent fuel requirements. Managed network of terminal tanks in multiple markets. 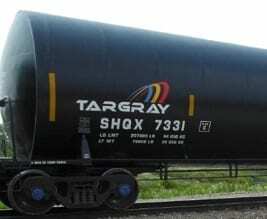 Company-operated biodiesel rail fleet with over 150 railcars. International ocean vessel chartering experience. Our unique supply chain capabilities enable us to source biodiesel products from the lowest-cost producers and move that fuel in the most efficient way to our customers’ localities. We operate a company-owned rail fleet consisting primarily of the industry’s largest and newest 29,000 gallon insulated and coiled rail cars. 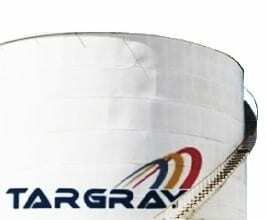 The fleet is supported by Targray’s network of terminal tanks and trans-loading agreements with operators around the world. These resources enable us to efficiently move biodiesel by rail and truck, resulting in more competitive bulk biodiesel pricing for our customers. As a BQ-9000 certified marketer with considerable experience in global distribution, Targray has all the required capabilities surrounding hedging, compliance, tax and risk management to create effective bulk biodiesel solutions for wholesale fuel buyers throughout North America and Europe. To speak with a Biofuels representative.